Cellar Craft revolutionized the world of craft wine by introducing grape skins into its reds, making the craft experience – from process to taste – truer to traditional winemaking methods and, most importantly, truer to varietal style. 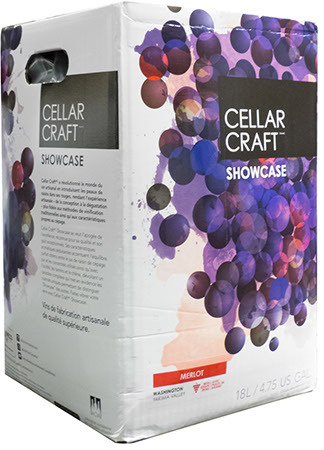 Cellar Craft Showcase is the pinnacle of premium, known for its exceptional quality and taste. Alluring aromatics spotlight the perfected balance of pure varietal grape juice and concentrates, acidity, tannin, and oak, delivering complex character and highlighting the unique nuances that distinguish Showcase from the rest. A captivating blend that reveals intense fruity aromas on opening. This full bodied red offers rich flavours of black cherry, mocha, spice and vanilla, and closes with a velvety, smooth finish.